Staying cool under pressure has never been this simple. 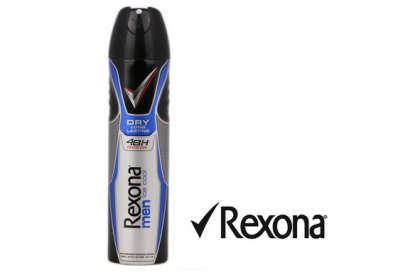 Get strong 48 hour protection and long lasting freshness with Rexona Men Ice Cool designed for men on the move. To be eligible to receive a free gift away of 1 bottle Rexona Ice Men Ice Cool Spray, intereste participants are required to complete their details fast and accurately together with the correct answer at Rexona Facebook comment session. The stock of these free gifts away is limited and will only be given out to the first 500 participants (first-come, first-served basis). In the event that the organiser runs out of stock, no compensation or replacement will be given to the participant. Each participant shall only receive one (1) free gift away only. These gifts away are non-transferrable, non-exchangeable and there is no cash alternative (for the product offered). This Campaign is in no way sponsored, endorsed or administered by, or associated with Facebook. You are providing your information to the Organiser, and not to Facebook.